American Strikes a New Credit Card Agreement. And the Winner Is… BOTH Citi AND Barclaycard? Both Citibank and Barclaycard will be issuing new American AAdvantage cards as part of a new deal announced today. Back in April I couldn’t predict one bank to win exclusivity over the other and it turns out that was a better prediction than I had realized. American AAdvantage launched its first credit card with Citibank in 1987. Next year will mark 30 consecutive years that American has had the same co-brand credit card partner. Incidentally, the first airline co-brand was launched a year earlier by Continental and Marine Midland Bank (now HSBC). But United launched in 1987 as well, and their partner bank is a predecessor to current co-brand issuer Chase. So both United and American have had essentially 30 year relationships with the same issuing bank. American is in a unique position because it has had two different banks issuing its consumer co-brand credit cards. Hilton does this with Citibank and American Express, however no U.S. airline has more than one bank issuing cards in the US market. US Airways Dividend Miles had cards issued by Barclaycard. They got the co-brand as part of the America West acquisition of US Airways, and when American and US Airways merged they doubled down by buying the ‘back book’ of cards issued by Bank of America from the old pre-merger US Airways. Just like when US Airways and America West merged, and Bank of America got to keep servicing existing US Airways Dividend Miles accounts but not issue new cards, when American and US Airways merged and Dividend Miles went away Barcalycard got to continue servicing existing accounts but not issue new cards. 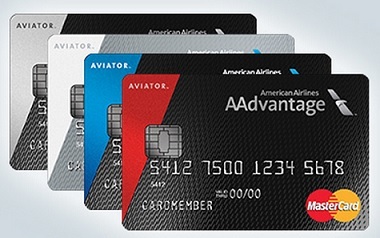 American’s co-brand partner Citi became the exclusive issuer of new American AAdvantage credit cards. I have both the Citi Executive AAdvantage Card and the Barclaycard Aviator Silver World Mastercard. Both let me earn 10,000 elite qualifying miles after $40,000 spend in a year (the Barclaycard version lets me earn 5000 qualifying miles at $20,000 and 5000 more at $40,000). I assumed that would be short-lived, as one or the other bank because the exclusive issuer when the current co-brand deal expired. Both would be bidding on the business. That Barclaycard didn’t sell their portfolio to Citi, and grew the portfolio by buying out BofA, suggested they were in the game for the long term and wanted to bid on the business going forward. American President Scott Kirby continued to grouse during quarterly earnings calls that Delta, United, and Southwest all had credit cards boosting their year-over-year revenue numbers. Now he has a deal, too. However it’s presumably not as big a deal as American might have liked. Delta set the bar 18 months ago with a $2 billion a year deal. Since that time Chase renewed Southwest and United (and also British Airways). It appears that neither Citi nor Barclaycard were willing to spend enough to be exclusive issuers, pushing out the other bank. This also sets the two banks up to compete again in the future. However we could be at the zenith of co-brand credit card deals. We’re seeing erosion in Europe, Australia, and contracts are already building in the expectation of declining value in the Mideast. Interchange fees are likely to decline (and certainly more likely to decline than to rise) as a result of retail pressure, government regulation, and new technology. According to American’s press release both Citibank and Barclaycard will be issuing new cards going forward. Although the two banks don’t exactly compete head-to-head for new customers. Instead, they will be dividing up territory. American has entered into new agreements with both Citi and Barclaycard US. The agreements will allow Citi to continue offering its lineup of cards to new customers through multiple exclusive channels such as digital – including aa.com – mobile, direct mail, and Admirals Club lounges. The agreements will also allow Barclaycard US, the payments business of Barclays in the United States, to offer its cards to new customers in airports and exclusively during flights beginning in January 2017. 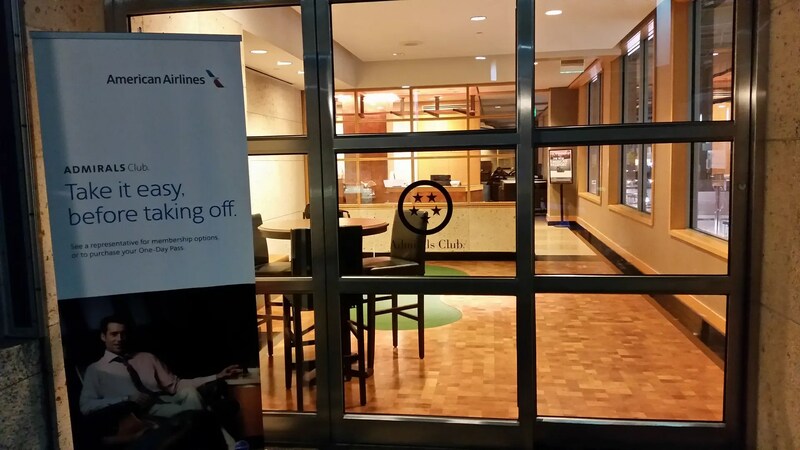 Citibank cards will be on the American Airlines website and in American Airlines lounges. Barclaycard cards will be on American Airlines flights. That’s a strange coexistence. We saw tremendous competition during the last months that Barclaycard was offering new US Airways Dividend Miles cards that would become American cards. Bonuses were high. And Citibank ran higher bonuses as well. Two banks competing for the business of AAdvantage members is likely to be good for members. this is fantastic news for the consumer. if you follow banks, credit cards are a bright spot in their business portfolio and i am not surprised to see barclays not letting go. My guess is that they are going to hold off on the EQM announcement until folks like me are locked into another year. THAT is the only reason I am keeping my Citi Executive AA card open at this point, given the absurd fee ($450), which is redundant if you have the Prestige (and don’t care about getting your entire family tree in to the Admirals Club as AUs). This is basically governing whether I focus on Delta or stay with AA, as I only fly about 50-75k a year for work, so I need those spend EQMs. Oh great, more in flight announcements hawking credit cards. Thanks for this article. since I don’t have a Barclays AA card, it should be good news to me. Gary, what do you make of the suggestions that it is getting much harder to find award space on AA flights? I’m usually one to book several months in advance, so usually get the first wave of seats. But if inventory is going to be a big problem, maybe I should concentrate on united and southwest, my other frequent airlines, instead of AA and BA. Not true. United has cards with other banks rather than Chase in Hawaii and Puerto Rico (this one is with Santander). @SanFranSky – American awards have been tougher in general to get over the past 3 years. Over the last 6 months though we’ve seen much better waves of availability, but it does go in waves. In general domestic flights are MUCH MUCH harder than they used to be to get as saver awards, although it depends on routes, and international has opened up a bit. So does this means I can cancel my aviator red card? I paid the annual fee on it last year and it’s coming up again this year. If I cancel now, would I be able to sign up in the future for the bonus? No point of me having a citi aa platinum and still have the aviator card. According to my last in flight credit card selling announcement Citi provides a credit card that earns Dividend Miles.. To be fair it was an old US bird and flight crew. I wonder if Barclay will introduce any new cards? I agree with @STFU. The incessant “We have a very exciting offer!” announcements are a serious impediment to my enjoyment of flying on AA. Like most, I use my flight time to do work and having to listen to a seemingly endless announcement to hawk credit cards breaks my train of thought and, quite honestly, ticks me off. How long will card issuers continue to overpay airlines for miles of constantly decreasing value? This is obviously very interesting news and seems like good news for your readers: more AA credit cards to get! As previously posters have noted, though, the biggest current problem with the AAdvantage program is award availability. DansDeals had a rant about it yesterday, and he’s basically right — especially as it pertains to domestic saver availability. It’s usually terrible these days. I presume AA makes good money selling miles to Citi and Barclays. Indeed, won’t this be the PRIMARY way people accumulate AA miles going forward, given that the new revenue-based program means they will earn fewer miles by actually flying? If award availability is terrible, I would think people will be less interesting in obtaining and using AA credit cards (yes, most people aren’t very smart about frequent flyer programs, but the big spenders are likely to eventually understand something). Lower credit card usage on AA credit cards, lower profits for AA? Right? So shouldn’t they start treating award space as a REVENUE bucket, instead as occasional crumbs to dole out? @iahphx yes, credit cards are the largest source of miles that was true before revenue-based. With revenue-based we’ll see fewer miles earned than we do today, though american says we’ll see as many miles from flying as we saw in 2014. Already have the Aviator and multiple Citi AA cards. Will be interesting to see if we are able to get the sign up bonus at a later date. I’m just crossing 24 months on the Citi Exec card. Like Kieran said, I don’t fly the full 100K miles to make EXP, so the EQM bonus is also huge for me to lock in EXP. Will be highly interested to see how much CC spend is required to negate the $12K spend requirement for EXP and what card that needs to go on. I just got the annual fee waived on the aviator red a few days ago- I think they’ll still be pretty liberal about it for the foreseeable future. Not only are domestic saver awards tough to get with an itinerary that makes any sense, it’s almost impossible to utilize the 2000 or 5000 mileage discount that is supposed to be a benefit with my aviator red Barclay’s cc. They post only publish a schedule of destinations where it can be used for the next 3 months. To have any chance of getting an acceptable saver award itinerary you have to be looking at least 5 months ahead. Definitely not renewing unless they waive my fee. Better off getting points that can be converted to cash and not have the hoops to jump thru to use miles. I may want a Barclays-issued AA card, but I would never sign up for one in the air. I would not want to encourage AA from continuing the incessant announcements selling them onboard. Gary: Any indication whether the renewed agreement will allow Thank You points to be transferred to Aadvantage? @Nativenewyorker – it’s early to know, but i’ve seen no indication of it. @Jack – good to know, hopefully it keeps up. Ron-Barclay would not waive the fee on the red card. So, I switched it to the no-fee Aviator grey card.